This is about a man falling in love with a woman and then immediately gets drafted into the Army during the Vietnam War. In the war he becomes blind and gets discharged. Atticus: Look, right there. A chamber. Angus MacGyver: Okay. I see it. Angus MacGyver: Get off my foot. I haven't watched many TV movies and don't care for them as a rule, but as a devoted MacGyver fan I was compelled to watch and tape this ABC special. I'm glad I did; this turned out to be one of the most enjoyable made-for-TV films I've encountered. I realize that this film (and TV movies in general) is one that isn't that easy to come across, and thus this comment won't be read by many, but after seeing the low rating that the film has now on IMDb, I wanted to offer my comment. The viewer will be struck by the engaging range of settings and the memorable action sequences, surprisingly diverse for a two hour film. 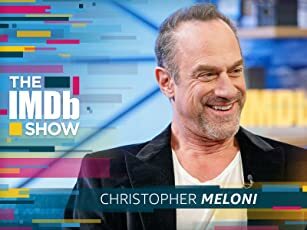 We go to a pair of ancient catacombs, a buzzing military depot in the Balkan peninsula, a picturesque British university, Blessed's charming and messy office, a scenic mansion estate in Plymouth, and finally to Greece, where the finale takes place around an impressive underground lagoon. All of the British scenes were shot on location in England, and it's a pleasure to watch Mac crossing the streets of London. It gives the viewer a great sense of location. In fact, it's quite a glossy production for a TV-movie. Granted, the viewer must suspend their disbelief when we see some of the technology that the Atlanteans had at their disposal (including those metallic funnel things, complete with hinged handles, that Mac blasted out of the cave with the steam :-) ). Those stalactites in the caves of "Exeter" aren't very convincing, either. But after all, as one character said, "The most important thing an archaeologist needs is an open mind!" It's all in good fun, anyway. It's too bad one bitter IMDb user couldn't get over the fact that the Balkan scenes were actually filmed in England. Were we really to expect the producers to set up shop in war-torn Bosnia? Most important of all, there are plenty of memorable MacGyverisms. I especially enjoyed watching Mac figure out how to escape the military cell and then play around with the contents of a weapons shed. And with the familiar musical bits taken straight from the TV show and playing in the background, Mac fans will feel right at home. The tone is just like that of the show. Even though he didn't appear in the original TV series, Brian Blessed's character proved to be a welcome presence. His performance is bombastic but he keeps the character from slipping into triteness by evoking real intellectual interest and passion. Energetic, devoted to his history, blithe, and acting erudite when he really doesn't know what's going on, he's a guy who's easy to warm up to. Certainly, "Lost Treasure of Atlantis" owes some inspiration to the Indiana Jones series, but it's an engaging production nonetheless. And there have been many other such action-adventure flicks that have been less creative and more dull-witted than this one. 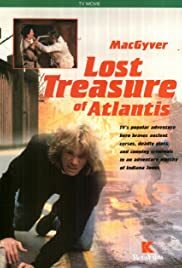 If you're looking for globetrotting adventure and exciting action and entertainment, "MacGyver: Lost Treasure of Atlantis" will give you exactly that. Superior to the "Trail to Doomsday" MacGyver movie in every way. Check it out if it shows up on the Action channel.